The leading cause of these fires is cooking equipment, causing nearly 30% of the office fires that are recorded in an average year. 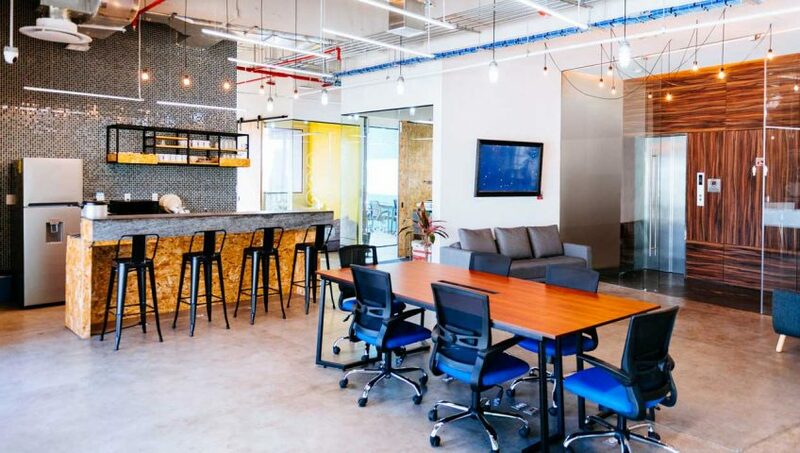 When you help educate your employees using these top fire safety tips, you’re one step closer to preventing a devastating fire that can negatively impact your business for years to come. Check any appliances for recalls on a regular basis. This includes registering appliances as soon as they are purchased and keeping a list of the registrations. You can quickly scan the product safety recalls to be sure your kitchen appliances aren’t on the list. Create a fire safety plan and post it clearly in the kitchen. This should be much more visible than a laminated page hidden away in a closet or drawer. Take the time to create a detailed plan that includes what to do in the event of specific types of fires. Regularly check your fire notification systems and sprinklers to be sure everything is in full working order. This is a good time to do a refresher training for your staff on how to use fire extinguishers and other fire protection equipment. Replace power cords that are worn out or frayed. Check that all electrical plugs and wiring in the kitchen is in good working order. Educate your employees to be on the lookout for cords that need replacement and be sure they know how to report the maintenance that is needed. Encourage employees to unplug small appliances if they’re not actively using them. Limit use of extension cords and plug appliances directly into outlets. Using extension cords is fine short-term, but plugging directly into the outlet reduces your overall points of failure or places that could cause a fire. Keep your kitchen clean and shiny. Bread crumbs and other baked on food can be the catalyst for a major fire in your office kitchen. A buildup of grease is particularly dangerous in this type of situation. Remind employees to always keep a watch on their food as it is cooking. This includes basic items such as frozen dinners and popcorn — two of the key causes of fires in workplace kitchens. Popcorn is particularly prone to burn just a moment after it finishes popping, so employees shouldn’t walk away from the microwave or stove. Ongoing fire safety training is the most valuable tool that you have in your arsenal of fighting against having an office fire. Employees should clearly understand the steps to take in the event of a fire and have a firm grasp on emergency exits. 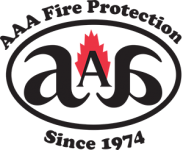 The professionals at AAA Fire Protection can help review your current policies and fire protection setup and make recommendations for improvement or education as needed. Contact us today at 855-356-0020, or our 24-hour hotline is always available in the event of an emergency.